Great opportunity to enjoy resort-style living in sought-after Aventine at Miramar. Come home to this spacious 1 bed/1 bath condo with attached 1 car garage and huge walk-in closet. Beautiful living in open floor plan townhome style condo with attached garage and walkway to your own entrance. Easily accessible to major highways I-75, turnpike, I-95. 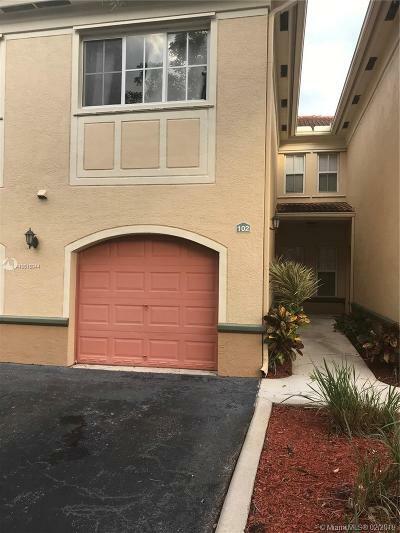 Minutes from both Miami and Fort Lauderdale airport. Walk around the beautiful lake and enjoy the bird sanctuary. Watch the lit waterfall and beautiful bridge at night. 2 huge pools,tennis courts, clubhouse and gym.Won't last long!